The market in Merano is stuffed full with food, clothes and people. We are in Merano, which is as chic as you like. 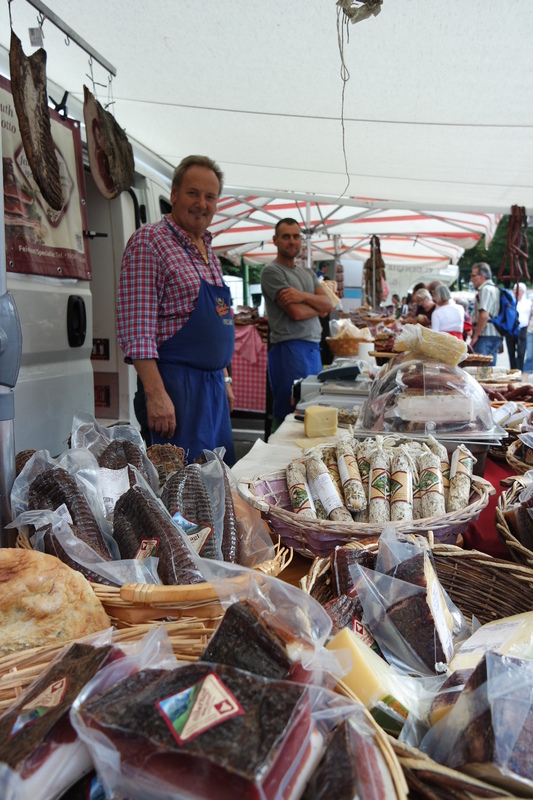 Market day in Merano is Friday. I bought an arrabbiata spice mix from a stall outside St Nicholas Church and decided to get creative with it. When in a mobile home one pot cooking is key! Cook the pasta a drain it into your thermo container. Add the spice mix to two cans of chopped tomatoes and simmer for 10 minutes or so. 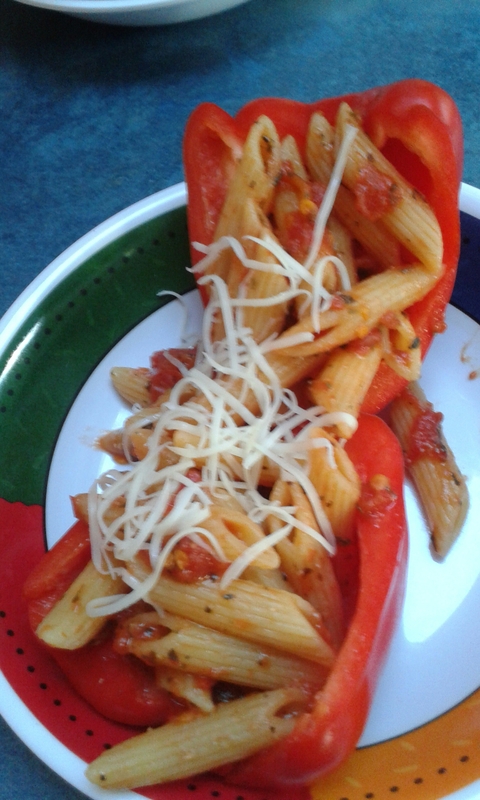 Then add pasta, toss and serve on sweet peppers topped with parmegiano cheese. Posted in FoodTagged cooking, italy, merano, mobile homeBookmark the permalink.